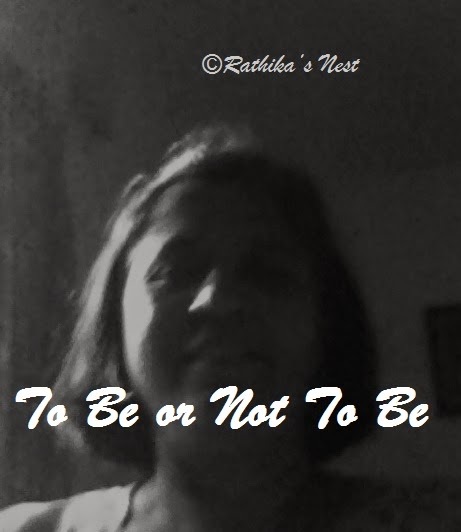 Rathika's Nest: To Be or Not To Be? Today, the 8th March, is the International Women’s Day. I am not yet convinced that we need a special day to celebrate womanhood. Be it a man or a woman, life has to be celebrated in all its glory every single day! However, as this day has attracted considerable attention, I wish to share some of my thoughts on issues that affect women in general. Women have many roles to play, sometimes simultaneously – daughter, sister, friend, wife, mother, daughter /sister-in-law, and many a time career woman. Each role is specific, governed by predefined notions and expectations. Gender role typing is changing with times, and in some aspects for the better. 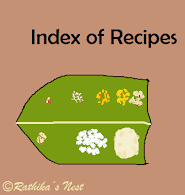 But, has the predefined notions and expectations disappeared? I am afraid not. In post-independence period, educating girls wasn’t that popular and women taking up a career were frowned upon. Several career women of that era remained unmarried as family and career were considered incompatible. In the sixties and seventies, more schools and colleges for girls were started and women getting employment was socially accepted, but the preferred career options were still limited – teacher, nurse, clerk, and an occasional doctor or a lawyer. Premium was placed on women’s role in the family. With globalization, more and more opportunities have opened up for women and presently, no job is considered a taboo. Ironically, now the premium is placed on the career! If the career woman of earlier generation was caught in the guilt of not giving her family its due, present generation woman is caught in the guilt of wanting to give her family its due! Isn’t that strange? Certain gender roles are predetermined - for example, childbearing. Family is a unit that provides physical, emotional and economic security to its members, especially children. Hence, it is imperative that family remains predictable and secure, which involves hard work. It should also be borne in mind that children cannot be raised and nurtured by remote control. Someone needs to expend time and energy for years. In the era of blurring gender role definitions, how the work is divided and gender roles are determined in a family is best left to the couple. Nonetheless, woman continues to be haunted by issues like whether to continue studies or start working, whether to be married or remain single, whether to have a child or not, whether to have a career or not, whether to have a full time career or part time career, whether to be a full time parent or not, whether to play a role in home-making or not, so on and so forth. All these are difficult decisions with no universal answers. As much as I have known women of earlier generation, who wanted to work, but couldn’t owing to family circumstances; I have also come across women of present generation, who would love to be stay-at-home moms, but couldn’t do so because of peer pressure or fear of losing out on the career front! There is another category of women, who settle for something lesser than what they really want and regret the compromise all their life. On the positive side, there are several women, who have taken bold decisions one way or the other, stuck to their decisions, and have become successful and happy. So what makes a women tick? I would say, definitely not the form (appearance and the trappings that go with it), but the substance that defines a woman. There are no fixed rules as to how a woman should be. Each woman has a notion or dream of how she wants to be. Freedom of choice is available to us all the time and we just need to exercise it. Whether to be the woman of our dream or not is left to us. However, we need to remember with freedom comes the responsibility and with each choice the accountability for consequences.